Keppie Careers - By Miriam Salpeter | We encourage, enlighten and empower job seekers for success! We encourage, enlighten and empower job seekers for success! Keppie Careers Moves to New Digs! I thought it would be fitting to announce that (if all goes well), Keppie Careers’ blog will be moving to its new home on www.keppiecareers.com later today! I’m very excited about the change, and I hope you’ll enjoy our new look and new features! Are you still waiting for things to look up in the job market? 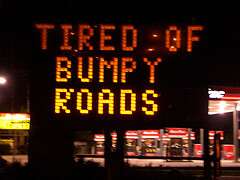 You may be waiting a while…All indications are that we are in for a bit of a bumpy road for the next patch. But, all is not lost for job seekers! Did you know that workplaces that have been recognized as “great,” such as those highlighted on GreatPlaceJobs.com, historically outperformed the general market and are less likely to have to resort to layoffs during tough times? Thinking about waiting out the recession by getting an MBA? A recent Newsweek article may may you think twice. The article, Happy Birthday, Harvard B-School reported on an 18-month study on the state of the M.B.A. conducted by Harvard professors David Garvin and Srikant Datar. They interviewed deans, recruiters, faculty and alumni from several dozen top business schools. At some companies, longer-tenured employees without an M.B.A. face better odds of getting promoted than newcomers who hold the degree, and some employers now dissuade star employees from returning to school for an M.B.A. at all. Recruiters say the M.B.A.s they do hire have learned little about such skills as giving presentations, navigating corporate politics or leading co-workers. “The M.B.A. degree may be at an inflection point,” Garvin says. Not exactly a ringing endorsement of higher business education. Clearly, in the working world, being able to communicate and lead are two crucial “soft” skills employers seek. Having written about the importance of being connected, I’m intrigued to note the focus on the “fundamental interconnectedness of humankind.” In his book, Never Eat Alone, Keith Ferrazzi says, “…Community and alliances will rule in the twenty-first century…[success is] dependent on whom you know and how you work with them (291).” He asserts that living a truly connected life is a prerequisite to success. If this is true, it looks like the M.B.A. may not be the path of choice. 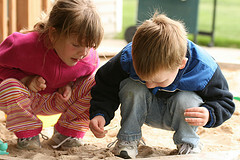 Could it be that all we really need to know are the lessons we learn in the sandbox? Is the poem “All I Ever Really Need To Know, I Learned in Kindergarten” turning out to be really true? What do you think? When do we learn our most important skills – the sand box or the ivory tower? Subscribe for free up-to-date tips to help with your job hunt! Click here to subscribe to receive future blogs sent directly to you via email! Prefer to subscribe in a reader? Click here for a link to receive Keppie Careers’ feed sent to the reader of your choice. Need help to jump start your search? We can help you with a successful job hunt. Need a great resume? Career search advice? Mock interview? Visit Keppie Careers online for information about our services: www.keppiecareers.com. On Election Day, I thought it would be fitting to re-run my post in memory of Tim Russert, host of NBC’s Meet the Press and influential political commentator who died in June. 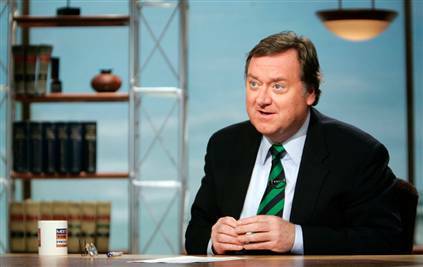 As I watched and read coverage of Tim Russert’s death, everyone who worked with him pointed out his generosity of spirit and willingness to mentor colleagues. In fact, the quote on one of the memorial programs for Tim Russert reads, “No exercise is better for the human heart than reaching down to lift up another person.” I heard him described as someone who pulled others up and then held them there, nurturing and celebrating their successes. My sense from the tributes memorializing him is that this quality, along with Russert’s reported love of family, work and life, may have contributed as much to his success as his tenatious questioning of political figures. I’ve written about being a “connector” and what a great aspiration it is to become a networker who networks generously and links people for their advantage. Similarly, this is a great time to think about the value of a mentor. Being a mentor can raise your career aspirations. People who see your kindness and generousity of spirit will help lift YOU to higher career heights. How much easier will it be to find people to offer recommendations and references if you are a strong mentor? How much more will you enjoy your work life if you really care about the people who work with you? For young people entering the working world for the first time, the lesson is to seek a mentor and to someday aspire to be one. Get to know the people who work with you. Care about their lives, their children, their sports teams. Connect because you care and people will respond. Your career and your life will be the better for it! Today’s post is in honor of Job Action Day, a blogging event organized by Quintessential Careersto encourage service-oriented articles and blog entries that provide workers and job-seekers with information, ideas and concrete steps that they can take to secure their futures — both in the short-term and the long-term. Secure your future for the short- and long-term – a tall order in today’s turbulent, fast-changing economy. According to former U.S. Secretary of Education Richard Riley, the top 10 in-demand jobs in 2010 may not have existed in 2004. (Hat Tip: The Creative Career.) How can you thrive professionally when keeping up seems about as easy as holding water in your bare hands? Draw your own career map. Take the keys and start the ignition. Don’t let fear drive you. Identify your goals. You can’t get anywhere until you decide the destination! Stop and evaluate. What characteristics and traits make you special? What are you (or do you hope to be) known for in your field? Review trends and industries with career potential. See if there are matches between your skills and interests and the fields and organizations most likely to have opportunities. If not, consider re-focusing slightly without altering your dream. When setting your goals, be open to the possibilities that new industries provide. Consider the glass “half full.” Instead of cursing a business with a shrinking job market, be willing to re-adjust, re-tool and re-train to take advantage of possibilities coming down the road. Design Your Vehicle – Brand YOU! 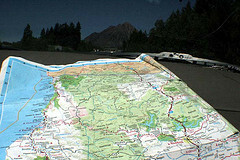 Once you identify a destination, you need to drive there! Take the time and effort necessary to learn how to position yourself as the expert in your field of choice. 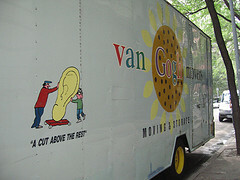 Use all of the tools at your disposal to create a “vehicle” (your brand) that will drive you where you want to go. If you haven’t looked for a job in a while and/or aren’t tuned in to managing your “digital footprint” – what comes up when someone “Googles” your name – it’s time for a quick lesson in social media. The long and the short of it is this: an online presence is key to how people will perceive you. Presenting yourself well both online and in person will help open doors that seemed closed to you. The key is to become the “go to” person in your field. When you leverage your expertise online and become part of the social networking community, doors will open that you otherwise would never have even considered knocking on! The key to a successful career is to network generously. There is nothing more important or more useful than networking. In our digital, Web 2.0 world, success will depend more and more on your ability to broaden your professional circles and to reach out to a diverse socio-economic group of people representing a mix of opinions and beliefs. Professionals who habitually introduce people who otherwise may not meet earn goodwill and reputations as valuable resources and colleagues. Become that professional to help you overcome obstacles to career success. Your ability to promote, communicate and connect your value to colleagues and superiors is crucial. Hone this “soft” skill – practice your writing, emailing, speaking, interviewing and presenting skills. Join Toastmasters. Make a point to learn how to communicate well. There is no doubt that the superior communicator in a field has the best chance to win the job. When you can articulate why your role is vital, you will certainly help secure your future. Adjust your rear-view mirrow, but keep your eyes on the road! Move forward with your plans knowing that you DO control your career. Is it as easy as reading these steps? No, but if you follow this plan, you will be on your way to managing your job hunt and/or your career with finesse and aplomb! Have other ideas to help empower job seekers and workers? Please share them in the comments. I also invite you to review an updated list of Job Action Day participants and to visit their blogs. You’d love to drive your own career bus, but it sounds like a lot of work? I can help you! Contact me at results@keppiecareers.com to discuss how to get your career bus moving in the right direction! I’d love to have you as a regular reader! Subscribe for free up-to-date tips to help with your job hunt! Click here to subscribe to receive future blogs sent directly to you via email! Prefer to subscribe in a reader? Click here for a link to receive Keppie Careers’ feed sent to the reader of your choice. I hope you’ll support Job Action Dayby reading and commenting on the blogs from these terrific career professionals! Be sure to come right back to this blog on Monday to read my contribution! Could you use some free career advice? Subscribe for free up-to-date tips to help with your job hunt! Click here to subscribe to receive future blogs sent directly to you via email! Prefer to subscribe in a reader? Click here for a link to receive Keppie Careers’ feed sent to the reader of your choice. Him: I want peanut butter and jelly. On bread. Me: You want a peanut butter and jelly sandwich? Can you ask in a nice way? Him: I want orange juice. Him: Please! No, I don’t want orange juice. I want GRAPE juice. In a cup. I think you get the picture. If I’m lucky, he changes his mind before I prepare what he initially requested, but more often than not, I’m faced with trying to convince him to eat what he originally wanted or starting over. If I had a dollar for every time I say, “Oh…I should have known that when you asked for orange juice (and took it out), it really meant that you want grape juice!” – I would be on some island somewhere – someone would be serving ME drinks! So, what does this have to do with the topic at hand? What does it have to do with your job? Think about it – Do you really know what you want? 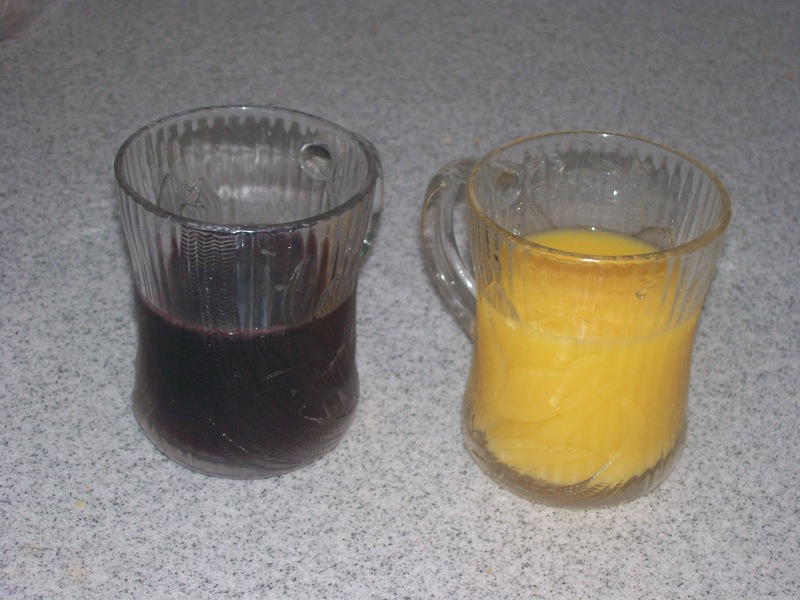 Are you like the 2-year old who is asking for orange juice, but really wanting grape juice? Are you impulsive, asking for (or wishing for) the first thing that comes to your mind? Unlike my 2-year old, whose only real consequence for his indecision is needing to say a few extra “pleases” or being stuck with whatever he first requested, there are real consequences for professionals who either don’t know what they want or don’t know how to ask for it. It isn’t always easy to figure out what you really want. It certainly isn’t easy to decide to make a major change in the hopes of accomplishing what you really want. It is worth it, though. Don’t let life, or your job, just happen TO you. Stop. Listen. Move. If you want grape juice – don’t just ask for it – do what my 2-year old does when he is really desperate and I’m taking too long – get it out and pour it yourself! Realize that you are ready to leave your job? Subscribe for free up-to-date tips to help with your job hunt! Click here to subscribe to receive future blogs sent directly to you via email! Prefer to subscribe in a reader? Click here for a link to receive Keppie Careers’ feed sent to the reader of your choice.